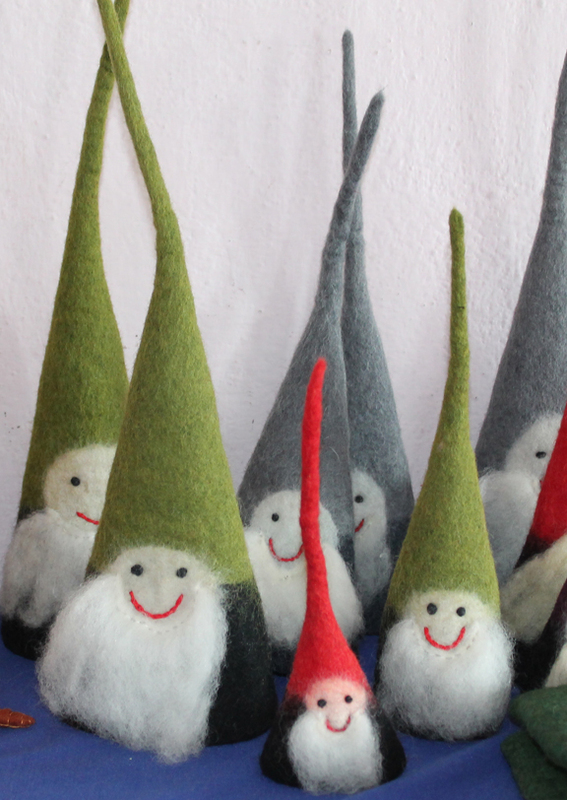 These happy chaps arrived from Kathmandu in the late summer ready to settle in new homes. Craft fairs are taking place in Celbridge on 23rd November and again on 26th and 27th November. Craft sales also taking place in Limerick between now and Christmas, will post dates closer to the events. These are part of our income generating programmes in Nepal and can support the many families who make them. Sizes 43cm, 34cm, 27cm, in 3 colours, selling at €10, €8 and €6. 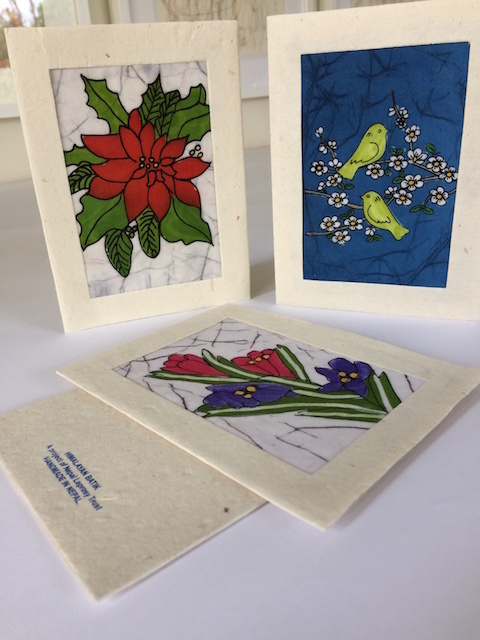 Also batik cards for sale.